Neath Port Talbot Council has developed a Masterplan for the development of Port Talbot Town and Harbourside. A long term vision is a key requirement if projects are to achieve lasting change and the Masterplan will act as a guide for the development of this part of the county. A number of projects at Harbourside are already underway with HMCS Justice Centre completed earlier this year. This is a big boost to the Council's Masterplan for the area, which has been prepared to maximise the benefits of Harbour Way. Tenants have already been secured for part of the development, including TWI and TATA Steel. Expansion space will allow for more companies to locate in the development. David Stacey of the developers Deryn Properties said, "We are delighted to be making this investment in Port Talbot and are very excited about the regeneration opportunities at Harbourside. 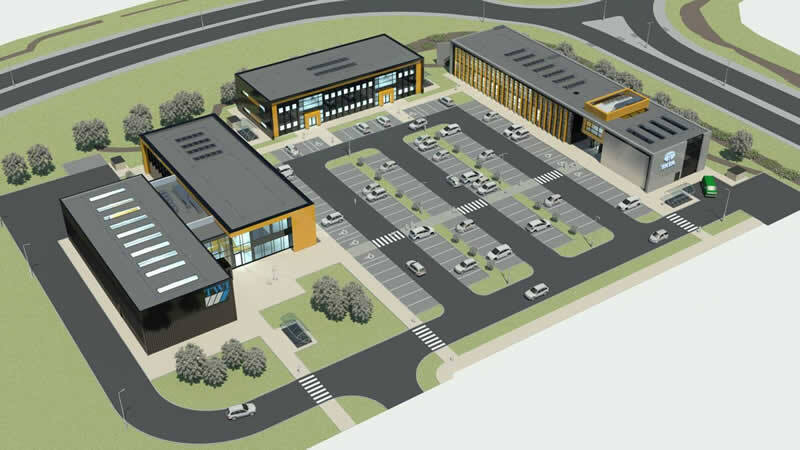 This Research & Development Village will secure high quality employment for the County Borough and will attract further investment from companies involved in pioneering technologies". Together with the Harbour Way link road, proposals for the development of the docks and the improvements to Port Talbot town centre, the whole area will be very attractive to residents, visitors and businesses. Visit the NPT business site for information on development opportunities.